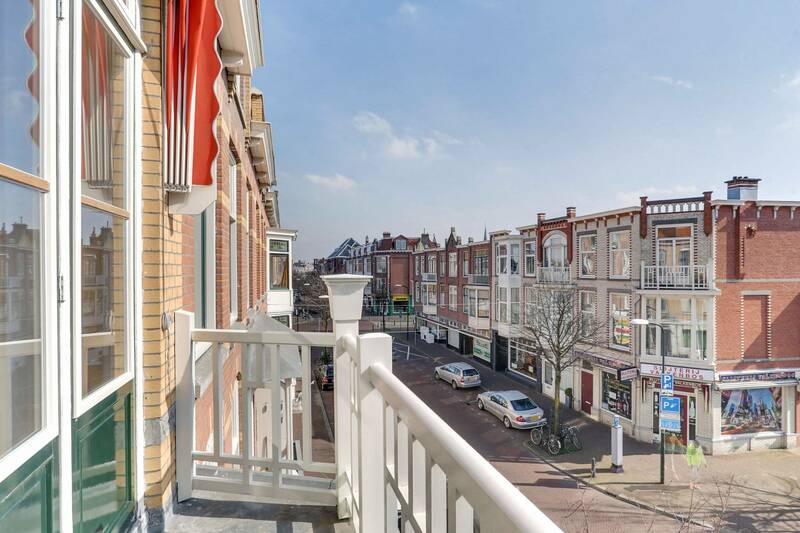 A stunning characteristic three-floor upper house located at the crossing of the Weimarstraat and the Valkenboslaan. 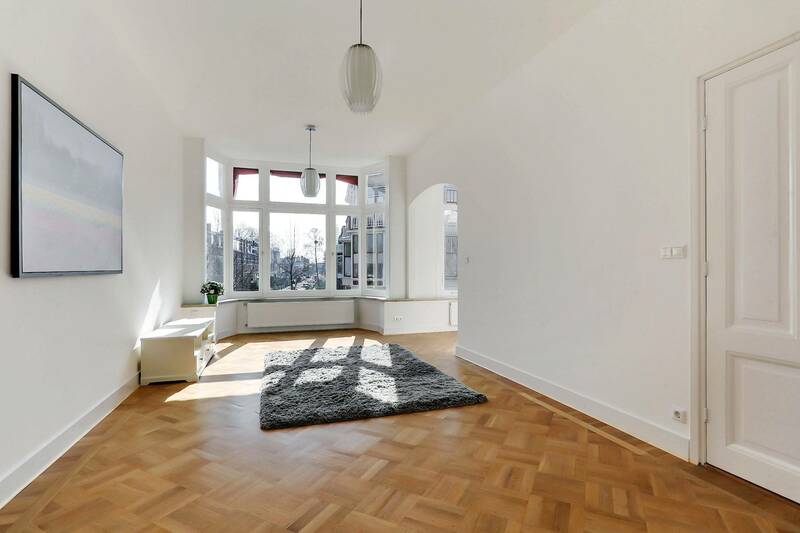 This magnificent apartment has four bedrooms, two studies, an open living and dining area and beautiful design kitchen. 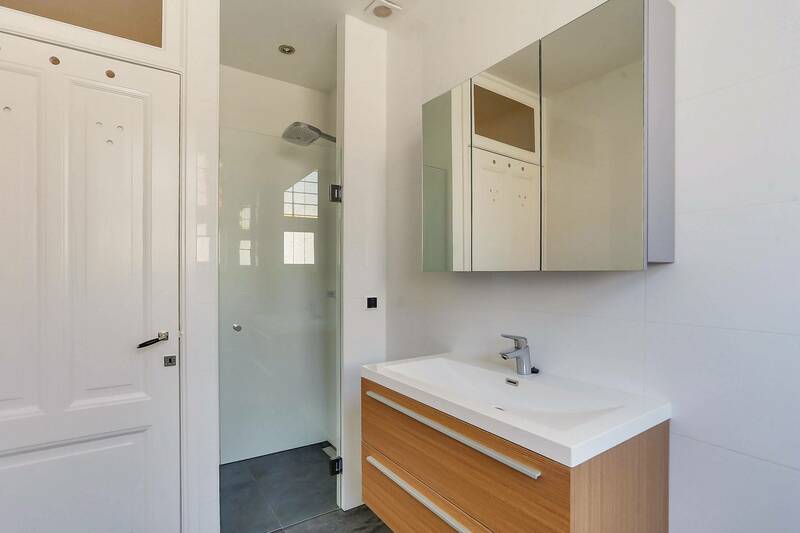 The house has just been renovated and is in superb condition, keeping original elements intact while adding a modern kitchen and luxurious bathroom. 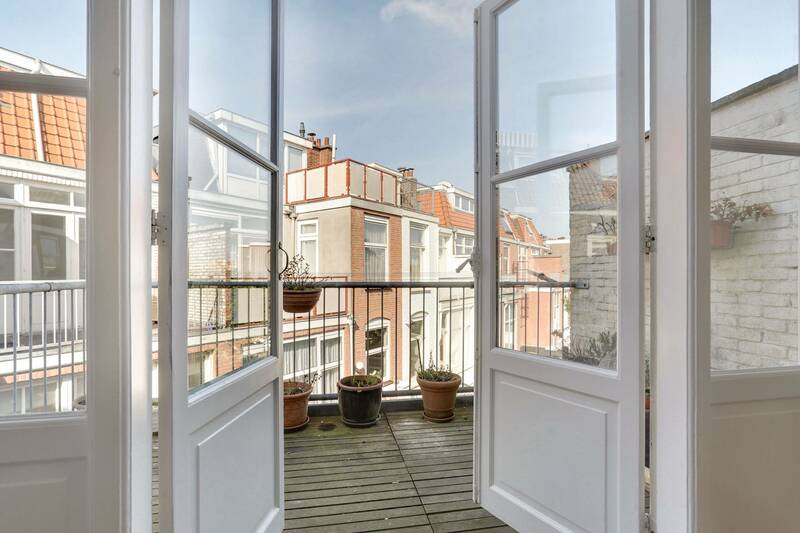 This spacious and bright apartment also includes two balconies. 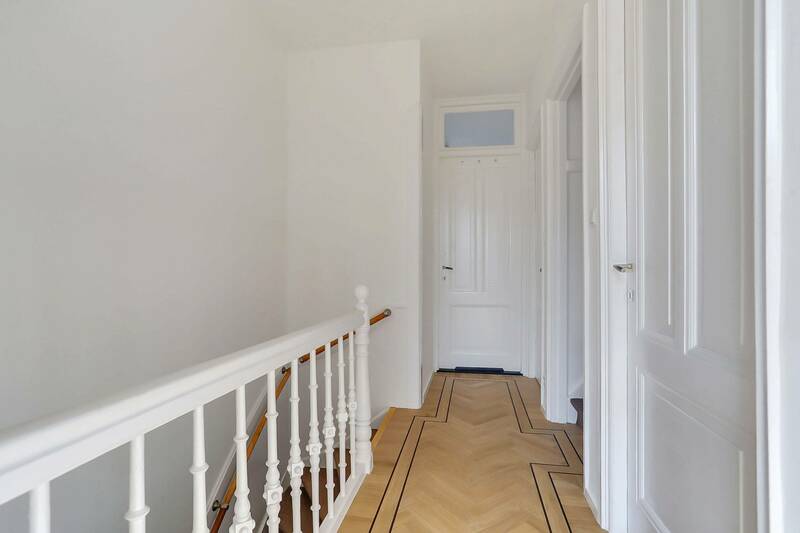 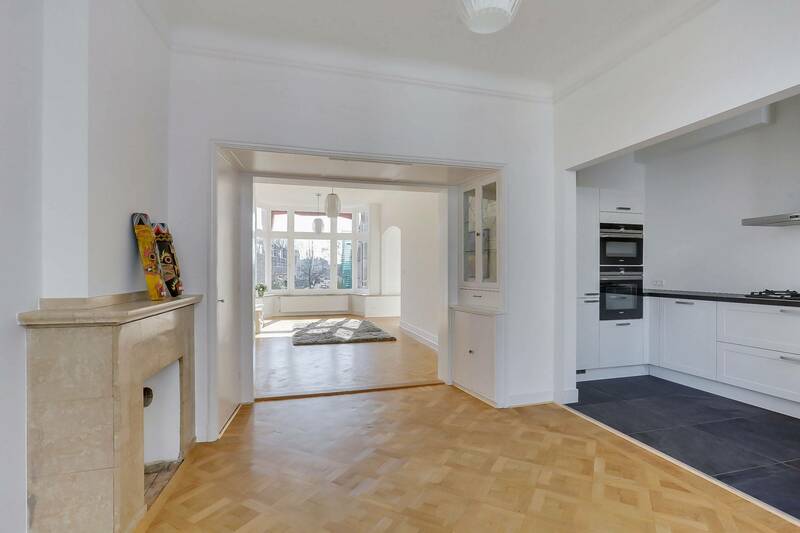 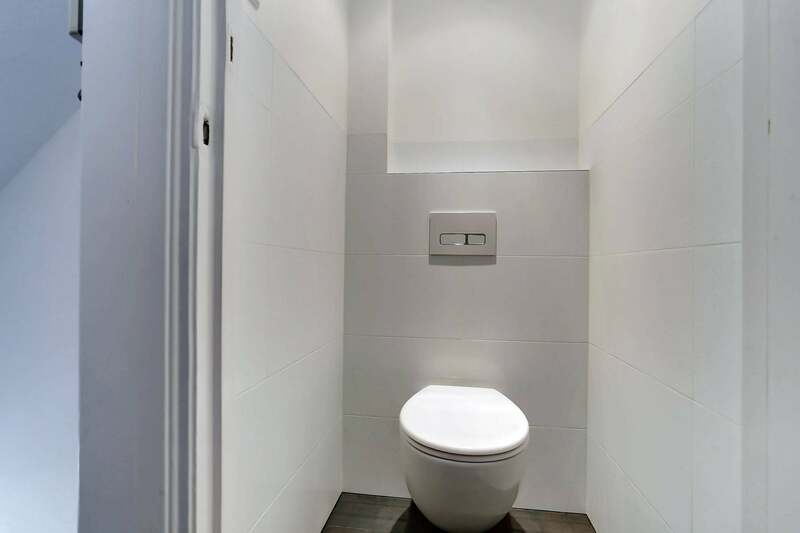 Entrance at the street level, hall and stairs to the first floor, hallway, fully renovated separate toilet. 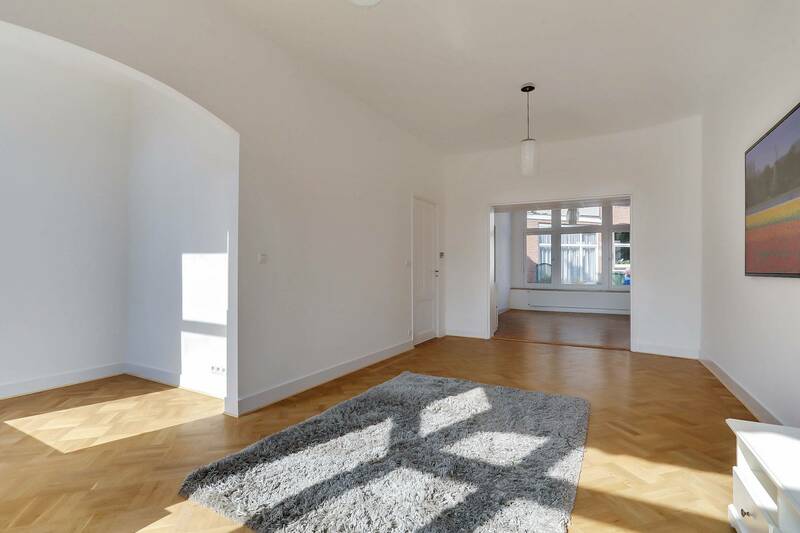 Main space, including the bright and spacious living and dining area. 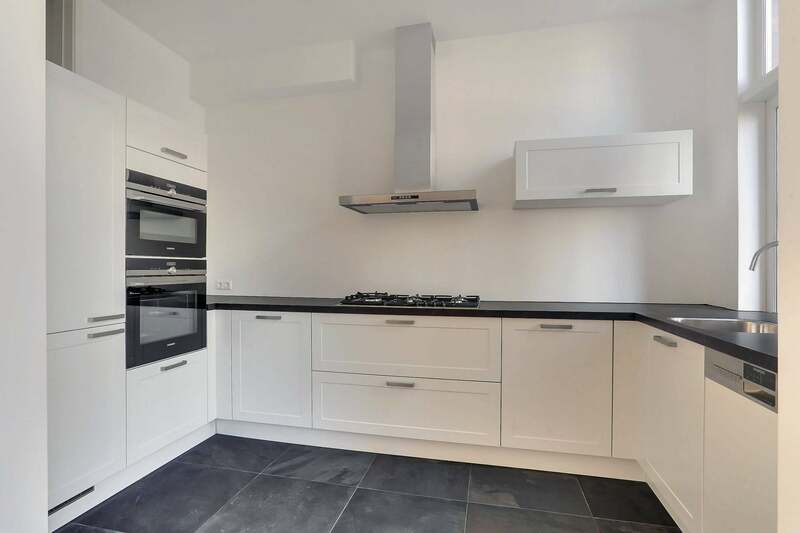 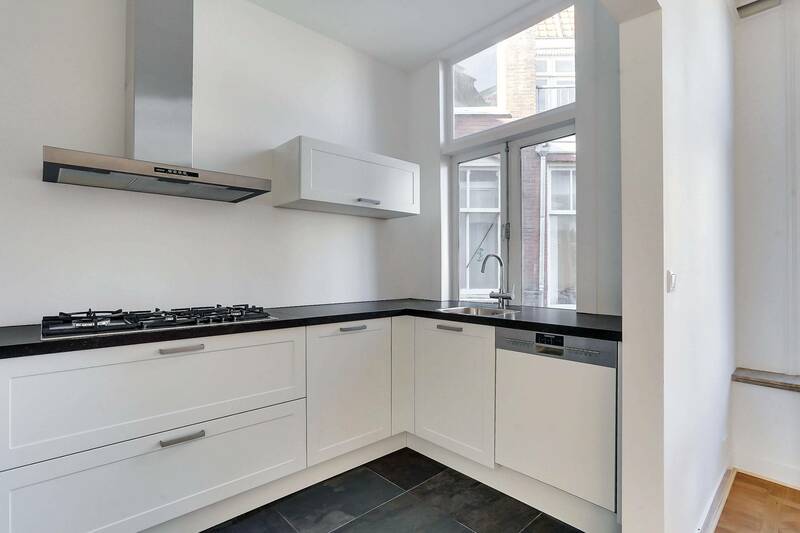 Attached to the dining room at the back of the apartment is the brand new kitchen with large windows and built-in luxurious appliances, including 5-pit gas stove, oven, extractor hob, dishwasher and a Quooker hot water tap. 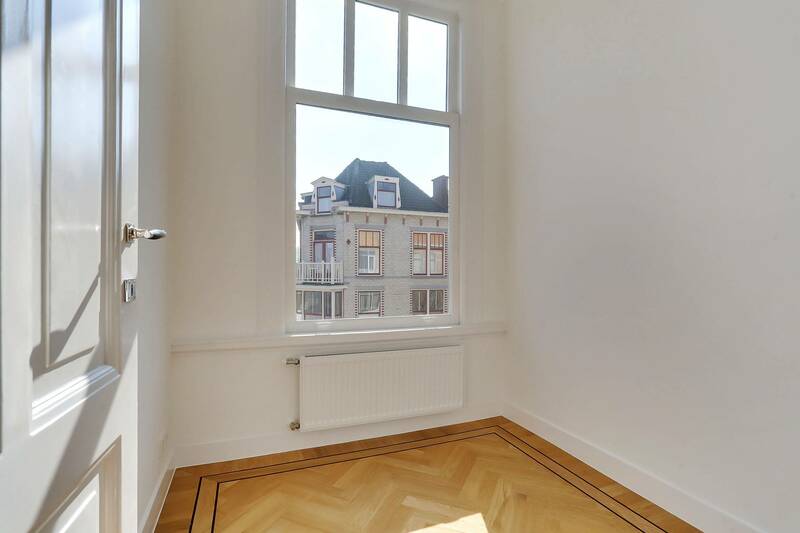 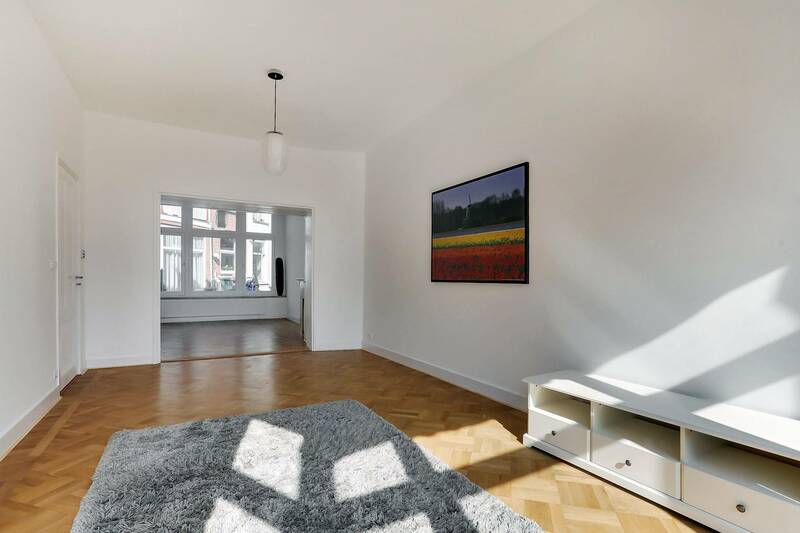 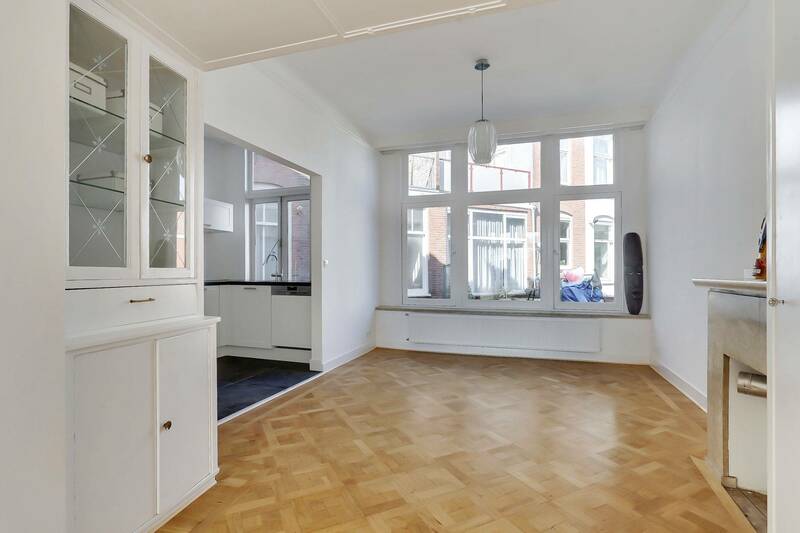 Large windows in the living room provide a stunning view onto the Weimarstraat, which you can see all the way to the end given the exact position of the apartment. 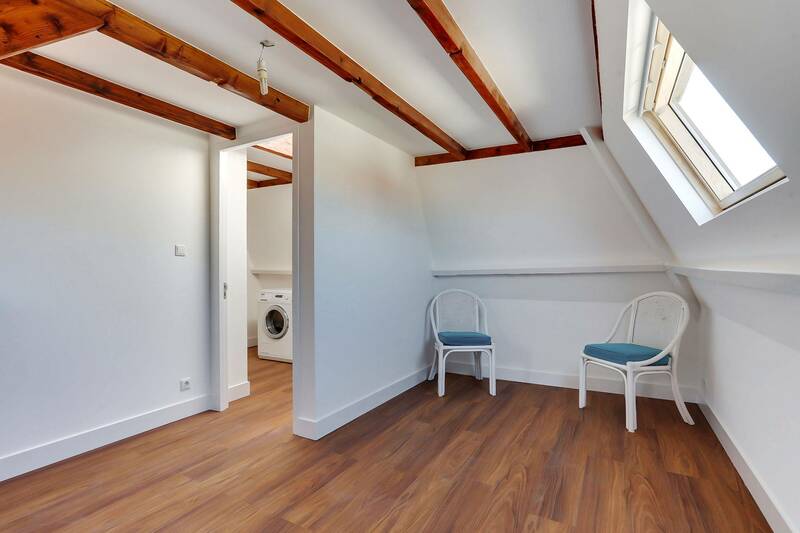 Attached side room to be used as a study or smaller sitting area. 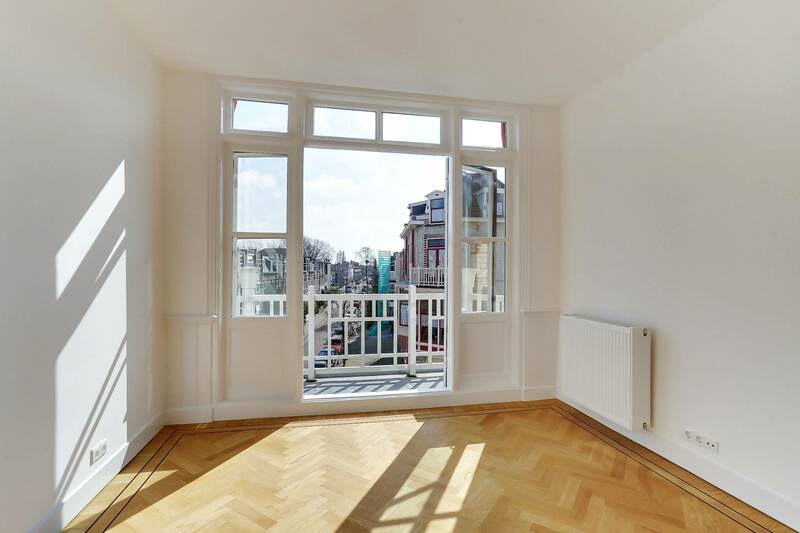 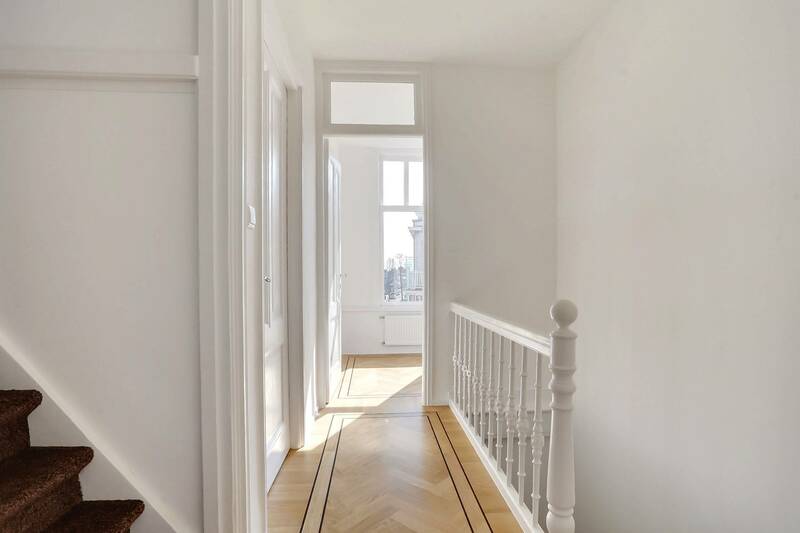 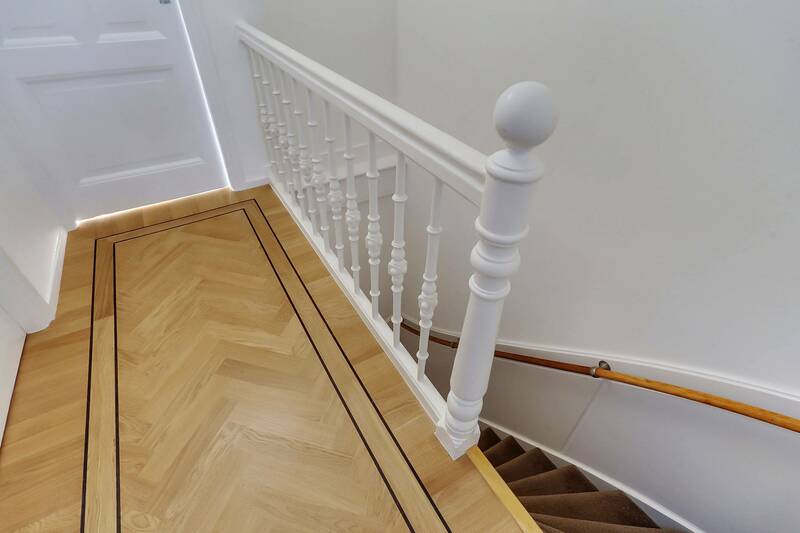 The original 100 year old wooden floors have been fully restored and give an authentic finish to the apartment. 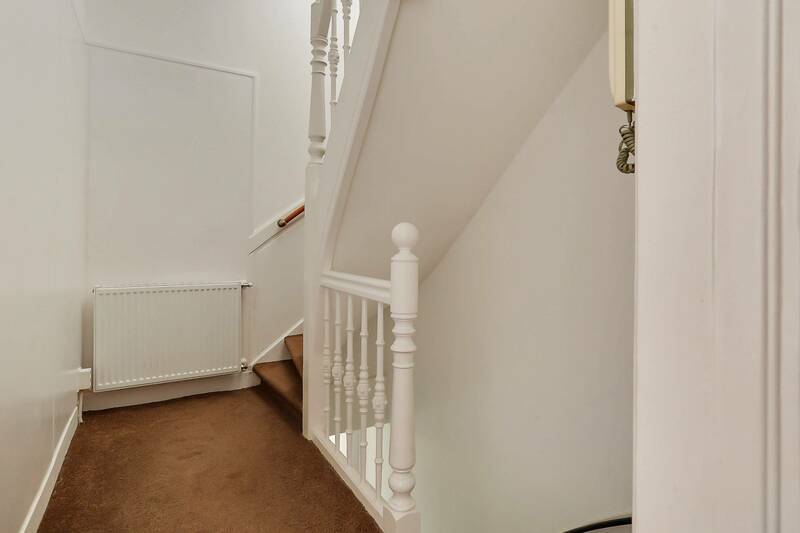 2nd floor: Hallway, master bedroom with beautiful french doors opening onto the full balcony at the back. 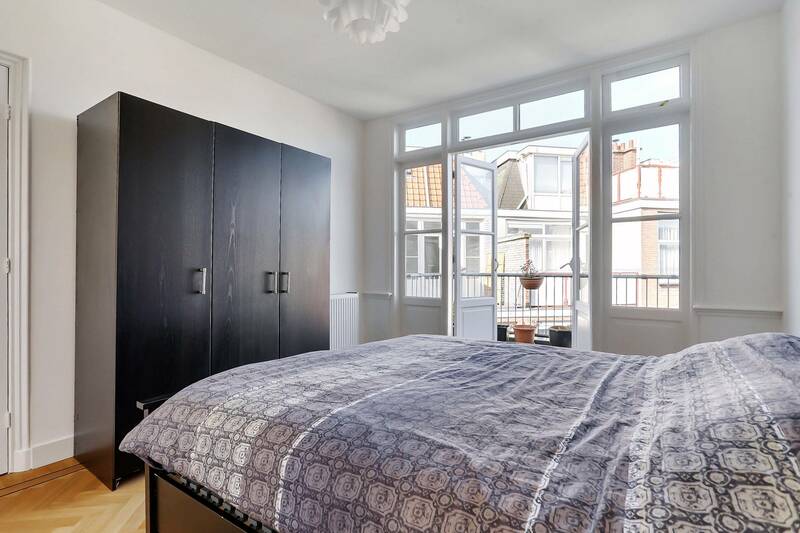 Second bedroom with access through french doors to a second balcony at the front. 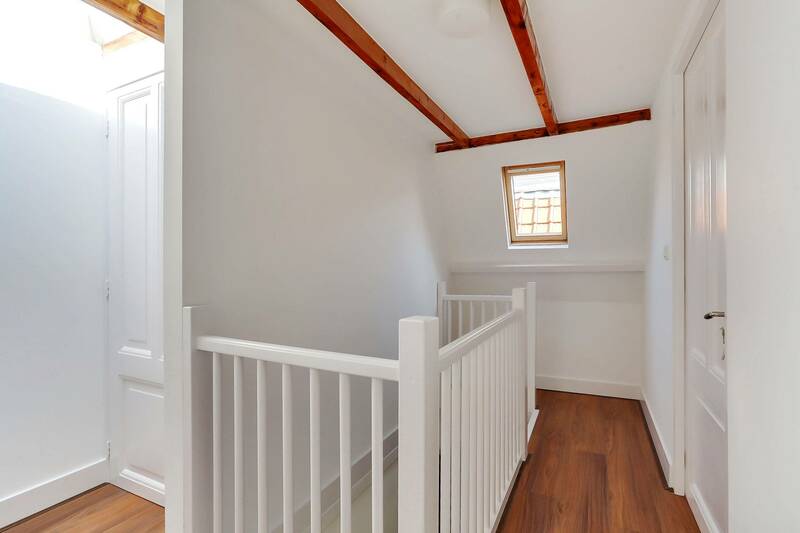 Side room to be used as a study or small sitting area. 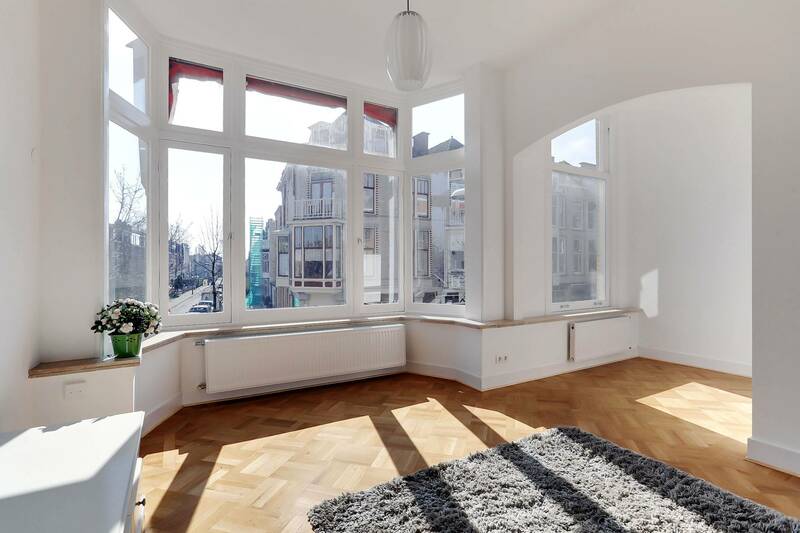 Chevron patterned wooden floors have been placed on the entire floor, giving the same authentic finish. 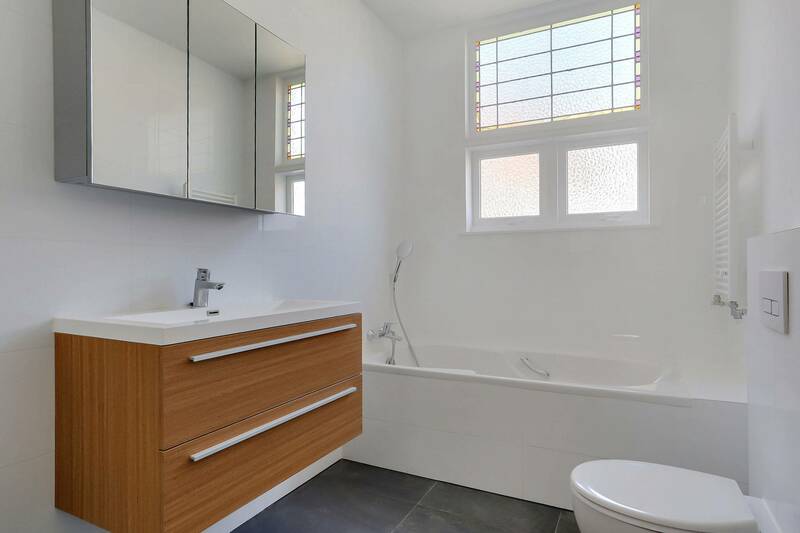 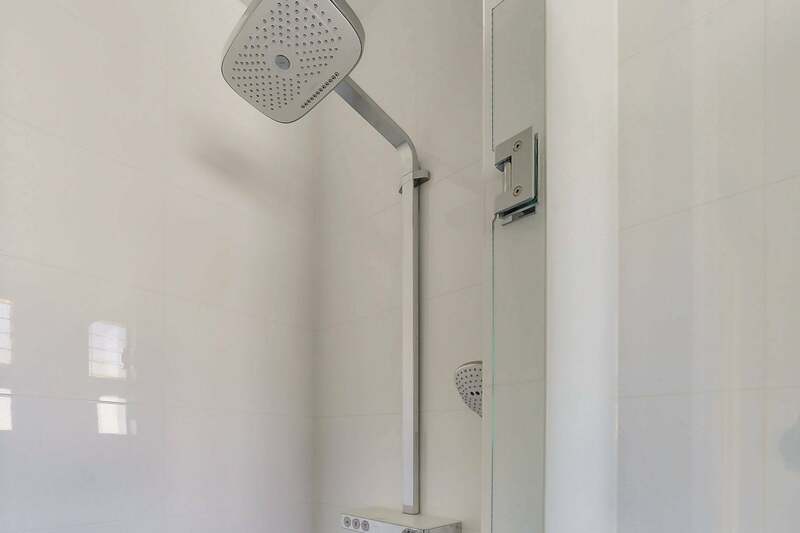 Completely renovated bathroom with luxury finish, including a separate bath and walk-in rain shower with additional waterfall function. 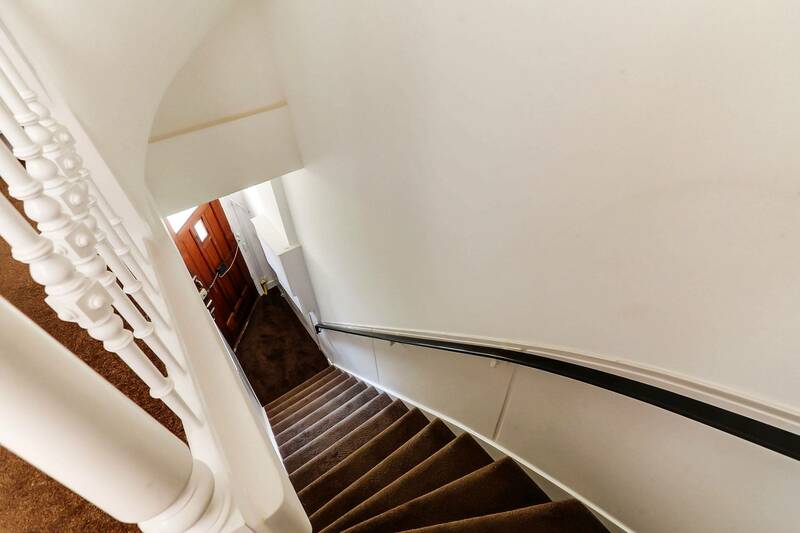 3rd floor: Bright staircase landing with skylight. 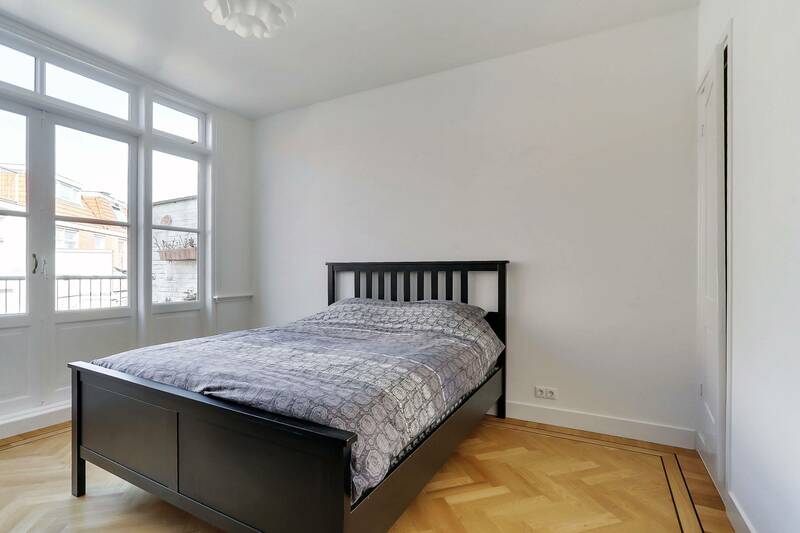 Spacious bedroom with skylight and dormer window. 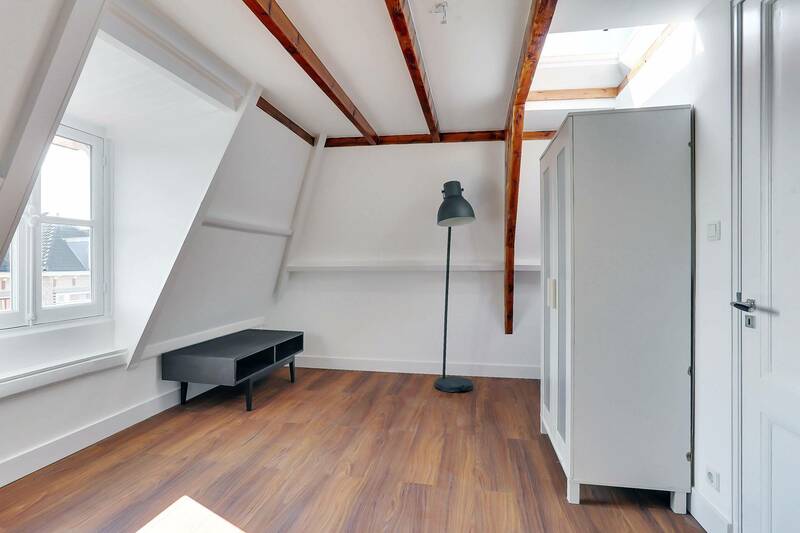 Second bedroom with two Velux roof windows. 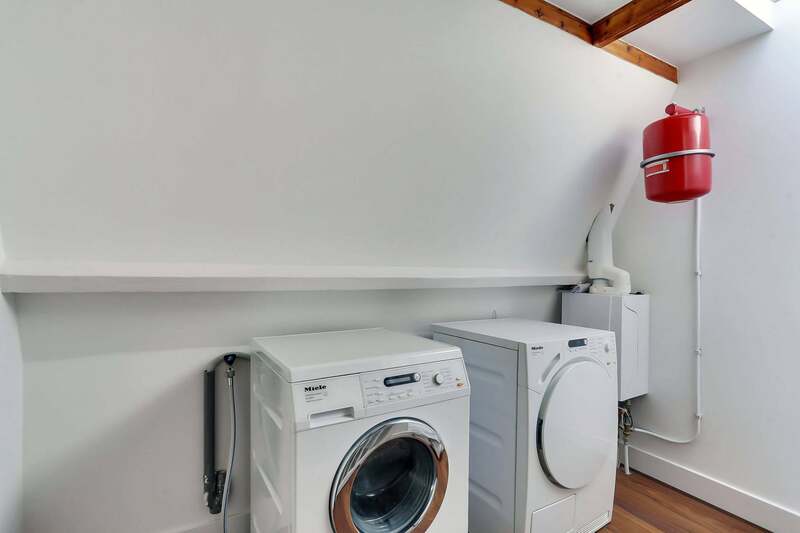 The entire floor has been fully insulated. 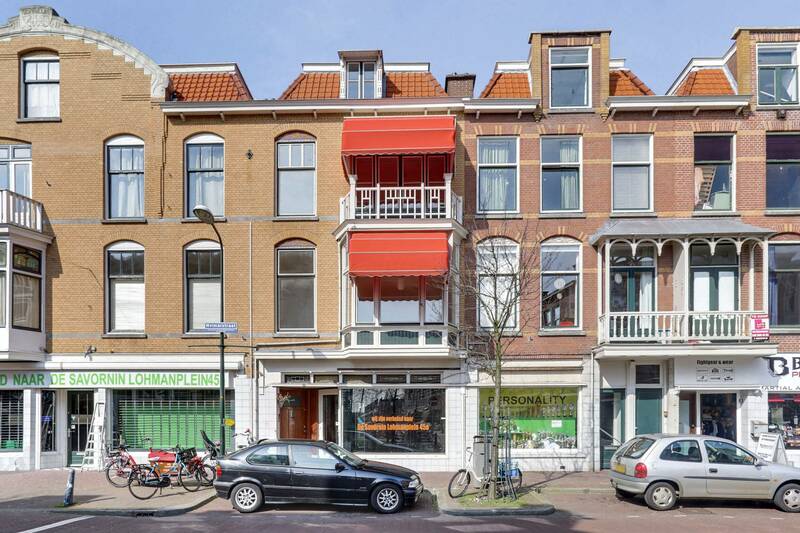 The property is ideally located in the Valkenboskwartier amidst shops and local bars and restaurants. 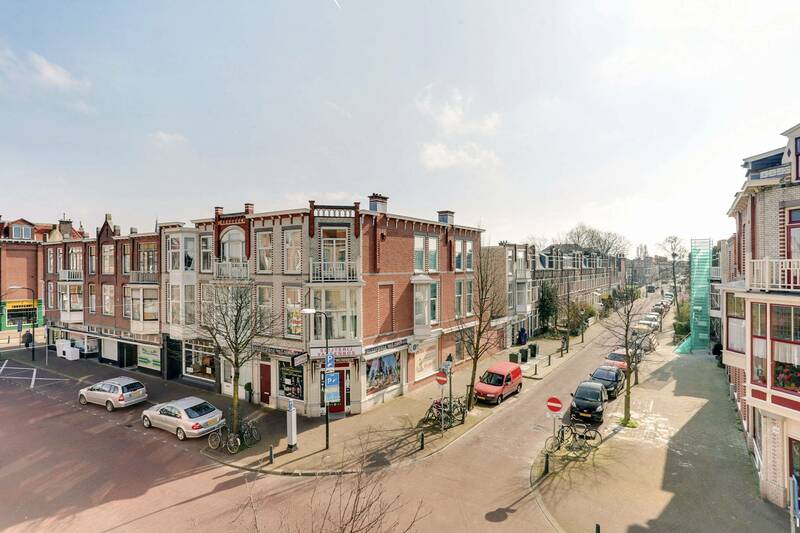 Public transportation is within walking distance and the centre of the Hague is just 10 minutes by bike.